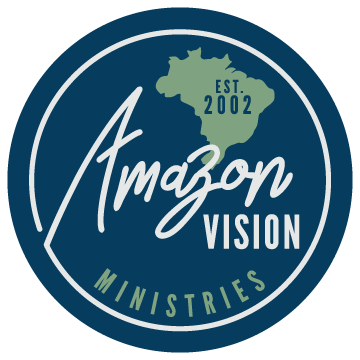 Amazon Vision Ministries cannot do the work we have been called to do without the support of caring and generous donors. Together we can be the hands and feet of Christ and show His love to the tens of thousands of villages along the Amazon River! Like what you see and want to contribute to our vision? Give a tax-deductible monetary gift that can help expand our impact. Partner with us through tax-deductible recurring donations to help provide consistent resources to keep our ministry moving forward. Do you have skills in non-profit marketing, fundraising, or social media? Do you have a desire to promote AVM in your church or region? We’d love to assist you in discovering how you can serve with our AVM team. Please tell us about your interest at info@amazonvisionministries.org so we can talk more about it! You can choose to sustain our ministry in the future with an invaluable investment reflecting your desire for the Amazon to someday be overflowing with the hope of Christ. This extraordinary commitment can be done by remembering AVM in a will or trust, or by placing AVM as a beneficiary of a life insurance policy. Did you know that every time you make a purchase, you could be donating to help us reach more people with the Gospel and medical/dental relief? It’s simple! Just go to smile.Amazon.com and designate Amazon Vision Ministries as your charity of choice. Then, each time you shop at AmazonSmile, a percentage of your purchase price will automatically be donated to our ministry!